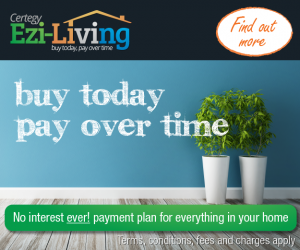 Perth Pest Control is pleased to offer the Certegy “No Interest Ever” payment plan for any of its range of termite barriers *. This allows you to protect your home from termites and then repay it over time. One of the great benefits of the Certegy payment plan is that you never pay interest on the money you owe. There are fees to set up and run your account and to process your payment – and these are clearly stated and included in your payment plan – but there is absolutely no interest on your payments. With Certegy you’ll know exactly how much you are being charged and exactly how many payments you’ll need to make. Your access to the Certegy No Interest Payment Plan is very simple. Firstly call us out for a free measure and quote for a termite barrier for your home. If you’re happy with this quote, we can organise approval on the spot from Certegy . . . all we need is a current driver’s licence. Alternatively, pre-approval for using the Certegy payment plan can be done online. Simply click on the “Apply Online Now” button below, enter your information and within a few seconds you’ll receive a pre-approval number from Certegy. Contact us with this number and we’ll get things underway for you.